I was working with new clients the other day. A really nice family with a very high energy puppy! When we started talking about exercise, walks in particular, I was told that their vet advised them not to take the puppy out of the house until 2 weeks after finishing the vaccinations. What?? Did I hear correctly, 2 weeks! “There is always a concern about the risks of taking the puppy out of its home before it is fully vaccinated because it may be exposed to an infectious disease before the protective immunity has developed. However, the benefits gained from these early public experiences can be enormous, and without them the risk of the puppy developing permanent fears or anxiety is a serious concern”. I hope there are a few vets reading this because I’m going to challenge you. What’s easier to cure Parvo or aggression? 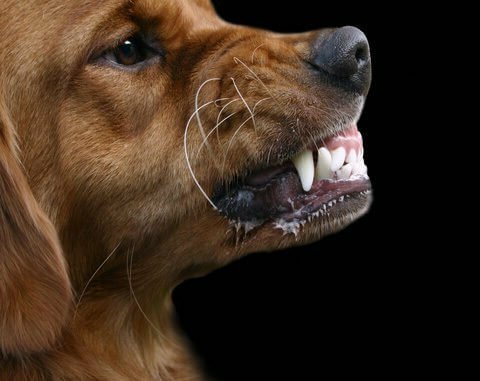 What is likely to kill more dogs Parvo or aggression? Don’t get me wrong, I’m not saying people should disregard the advice of their vet and run carelessly into the world with their unvaccinated puppy. It’s a risk vs. benefits proposition. Yes, you must be careful where you take your puppy. Avoid dog parks, dog beaches and areas where many unknown dogs congregate. Invite friends over to meet your puppy. And, if those friends have healthy, vaccinated adult dogs that like puppies, invite them along as well. Also, consider a well-run puppy class. Studies have proven again and again that there is very little risk of disease transmission when puppies attend well-run puppy classes. I personally taught puppy classes for 15 years and never had a single puppy contract Parvo as a result of attending. That’s thousands of puppies! All puppies in the class should be up to date on age appropriate vaccines. All puppies should be free of internal and external parasites. The class should be in an area the is easy to disinfect. Training should use positive reinforcement only. Class should focus more on socialization than obedience. So what do I do with vets that still tell clients not to take their puppies out until vaccines are finished? I try to educate, offer studies that prove otherwise, hope they continue to learn and grow in their knowledge of behavior. I also educate my clients; I provide them with information, so they can have discussions with their vet and hopefully, find a healthy balance between the physical and metal heath of their puppy.